Transport Canada investigated reports of smelly blueish substance falling on people and cars and found no evidence indicating it fell from passing planes. The department said Friday that it investigated 18 incidents reported in recent weeks by people who alleged frozen lavatory waste, called "blue ice," fell from planes in Kelowna and Abbotsford. "The department's review has concluded that these incidents do not meet the description of blue ice and are therefore not aviation related." Blue ice incidents are very rare and are so named because of a distinct blue liquid used to disinfect human waste from washrooms in an aircraft's holding tank, which could leak before the frozen material melts and falls off the plane, the statement said. 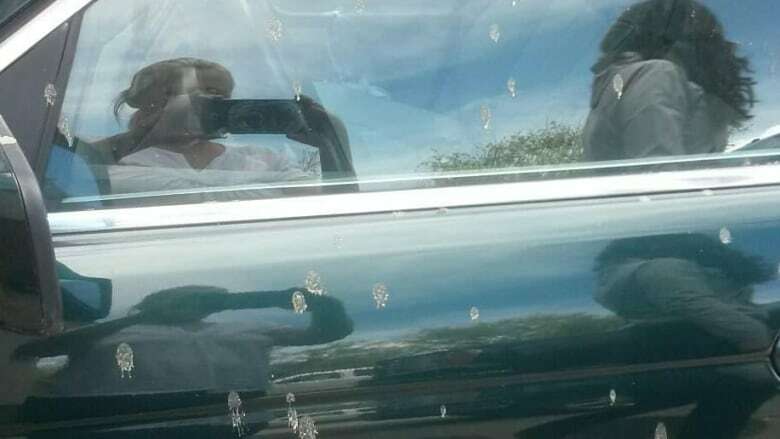 Susan Allan, 53, said she can't believe the smelly bluish-grey substance that fell into her eyes from the open sunroof of her car on May 9 wasn't human excrement. It also fell onto her 21-year-old son Travis Sweet's face, who was a passenger in the vehicle in Kelowna and described the substance as "freezing cold," she said. "It was a beautiful day, it was pure blue sky and if I had looked up and seen a flock of birds it would have been a different story. All that was there was an airplane and by the time we looked up it was already going over top of the golf course," she said. Transport Canada said that in rare cases, an aircraft's holding tank carrying human waste can leak before it is pumped into a tanker truck on the ground. "I know what happened to us and I'm not going to give up until somebody does something," Allan said, crying, adding she has contacted Transport Canada to say she disagrees with its findings. "I've had people laughing, people making fun of me. I'm sure it's going to get way worse now when they think, 'Ha ha, see, stupid. It's not true.' But it is true and it's making me mad that I can't prove it."